US poker pro Gordon Vayo has dropped his near $700,000 lawsuit against PokerStars after the popular online poker provider uncovered evidence of fraud including forged bank statements. 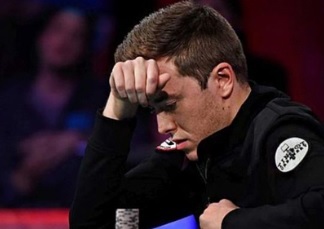 Established online and live professional poker player Gordon Vayo has withdrawn his lawsuit against the PokerStars parent company Rational Entertainment Enterprises Limited (REEL) over withheld poker winnings. Vayo, who has won over $6 million in lifetime earnings, filed his law suit against REEL over a claim of $690,000 that he won in an event whilst playing PokerStars’ 2017 Spring World Championship of Online Poker (SCOOP). 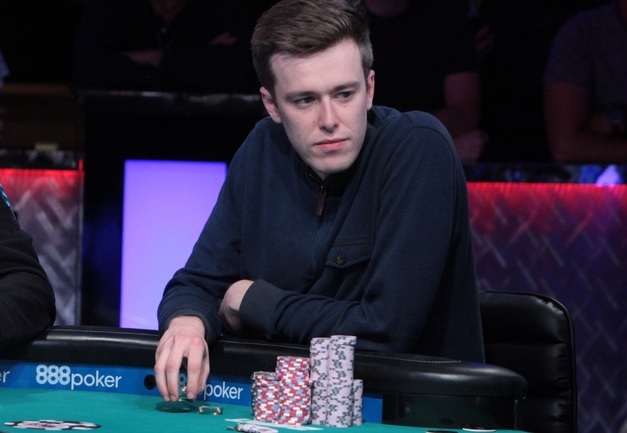 However, Vayo has since dropped his lawsuit after evidence was provided showing that Vayo had not only violated PokerStars’ terms of service by illicitly playing on the site from the USA, but also that the player had introduced forged and doctored bank statements in a bid to bolster his initial claim. Reel have now made claims against Vayo for damages and legal expenses for the case. The damages are likely to exceed $300,000. Within weeks of Vayo’s $692,000 win, PokerStars froze Vayo’s bankroll after discovering that he had played on the site from within the United States. Vayo allegedly used a Virtual Private Network (VPN) to make it seem as if he was playing from Canada. Vayo even went as far to claim that a “VPN malfunction” had made it appear that he was playing from the USA while actually in Canada – this has subsequently been exposed as an outright lie. REEL received a tip from a third party that Vayo’s bank and internet records were altered by a document forger in order to create the false impression that Vayo was in Canada during the SCOOP event. REEL confronted Vayo about this and within 48 hrs Vayo filed a notice of voluntary dismissal of all of his claims. It is not clear why Vayo thought he could cheat PokerStars. Whether he knew the forger or not remains to be seen, however it is clear that Vayo would never have been able to get away with his intended purpose. Since PokerStars became the world’s leading online poker provider, the company – The Stars Group – which is also under the umbrella of REEL, has branched out into various fields. Formerly known as Amaya, The Stars Group now sponsors a variety of sporting events and also offers other gaming products and services including a sportsbook and online casino. Stars Interactive is the online gaming division of The Stars Group and has licenses to operate from 17 jurisdictions and offers its products and services in North America, Europe & elsewhere. The Stars Groups’ venture into the online casino marketinspired their stock price to rise to an all-time high of $49.71 CAD per share in summer 2018. The online casino industry, in Europe especially, continues to grow exponentially. The competition within the online casino market is extremely high, with casinos fighting tooth and nail to attract players. Casino listing sites such as CasinoGuide UK are useful for players who like to compare and contrast different casinos before they choose one to sign up to. These casino listings sites showcase which casino bonuses each respective casino offers to players – to get the best bang for your buck. Rakeback from large deposit bonuses are why more and more poker players are grinding online casino games alongside their poker action. PokerStars and The Stars Group have become an extremely well-trusted online games provider which has helped to ensure that their venture into the online casino world has been a successful one, as gamblers are happy to sign up to an online casino with the company’ branding. In addition, players are able to swap seamlessly between the online poker tables at PokerStars and the online casino tables at Stars Interactive. What does the Gordon Vayo case means for PokerStars? More than likely, nothing – at least not in any way substantial. If anything, it will make it less likely that more players will attempt to defraud the company. Furthermore, the case should be a kind reminder that online poker players should never attempt to bypass the rules and regulations that are set out by PokerStars, for their own sake. If Vayo had played the SCOOP event in Canada, then he would be $698,000 richer rather than potentially $300,000+ out of pocket. As mentioned, it is expected that REEL will now sue Vayo for damages after it emerged he was attempting to knowingly defraud the company. We will keep you updated with all the news that follows this case.